Today, when you order "Mind Mysteries Guide Book Vol. 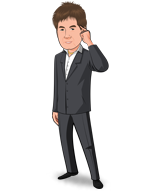 5 by Richard Osterlind - Book", you'll instantly be emailed a Penguin Magic gift certificate. You can spend it on anything you like at Penguin, just like cash. Just complete your order as normal, and within seconds you'll get an email with your gift certificate. Order in the next 4 hours 2 minutes and it will ship TODAY! 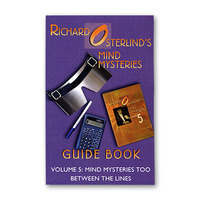 In an unprecedented event, Richard Osterlind has revisited his hugely successful Mind Mysteries video series and is writing definitive guide books that exponentially enrich the material presented in it. Richard has taken his fifth Guide Book a step further. It is subtitled "Between the Lines" and is structured in a way similar to his best-selling book, Mystique. Within these pages, you will find important concepts, theories and other practical applications well suited for other mentalism routines as well as theatrical knowledge in general. There is a wealth of knowledge is these "sub thoughts" alone. Exceeding the length of the last Guide Book by some 50 pages, Mind Mysteries Volume 5 contains some of Richard's most exciting creations and showcases his original thinking. This guide book will give you even greater insight as to what makes these effects so powerful and how you put that kind of power into your own act. Many new magicians underestimate the value of the volumes of information that lies in the old dusty books on the shelves of the magic shops. Most of the ideas within DVDs and instructional videos containing those new flashy tricks come from the tried-and-true methods of famous magicians. This is a book that will provide many ideas that a magician can transform into a modern miracle.